Higher assessed value of real property translates to higher property taxes. A property owner doesnt have to understand the details of Colorados tax system to protest a propertys assessed value and potentially obtain lower taxes. Its easy to do, and heres how:On May 1, every county assessor in Colorado will mail a notice to every real property owner containing the following information: An itemized listing of the owners land and improvements; The assessors opinion of the value of the land and improvements under the preceding years assessment and the new assessment; and A description of the characteristics of the land and improvements that were used to determine their value.A property owner may protest the assessors valuation by either completing a form provided with the notice or sending the assessor a letter explaining why the valuation should be lower. Protests must be delivered, postmarked, or given in person to the assessor no later than June 1. A protest will generally be more effective if the protestor knows what comparable properties were used by the assessor in making the evaluation, and the assessor is required to provide this information within seven days of a written request.A taxpayer may, but is not required, to request a meeting with the assessor in May or June to discuss the protest. If, in view of the written or in-person protest, the assessor determines any valuation to be erroneous, the assessor must correct the error; if the assessor declines to change the valuation, the assessor must send the taxpayer a form explaining the reasons by the last working day in June. Residential property is assessed in Colorado using the market approach, which determines value based on sales of comparable properties. It can be effective for a taxpayer to protest his propertys valuation on the basis that the comparables used by the assessor are not really comparable for some reason. For example, if the taxpayer owns a property with a two-car garage and three bedrooms, he might protest that it is unfair to compare it to a property with a three-car garage and four bedrooms. Similarly, if two properties are in different neighborhoods, they might not be suitable comparables.The protesting taxpayer may wish to identify properties that are, in the taxpayers view, more comparable than the properties selected by the assessor. For example, if the taxpayer owns a condominium a short drive from the ski area, but the assessor uses a ski-in condo as a comparable, the taxpayer might identify a condo similarly situated to his own for the assessor to use as a new comparable.The assessors website often has great information about comparable properties. In Summit County, go to http://www.co.summit.co.us/Assessor. The assessor may only consider sales that occurred between January 1, 2007, and June 30, 2008. In many areas, sales prices in 2008 were lower than sales in 2007, when the market was stronger. A taxpayer should check the date of the comparable sales used by the assessor and may be able to identify more recent sales of comparable properties that would result in a more favorable assessed value. Non-residential property may be assessed in any fair manner, including the market approach, the cost approach (using the estimated cost to replace the improvements), or the income approach (using income derived from the property). A protest of non-residential property valuation might explain why a different approach would be fairer and could provide data to support the favored approach. A taxpayer may also protest that a property classified non-residential should actually be classified residential. Non-residential properties are assessed at a higher rate. A taxpayer may follow an unsuccessful protest with an appeal to the county commissioners in their role as the Board of Equalization. This process starts by filing a notice of appeal no later than July 15. 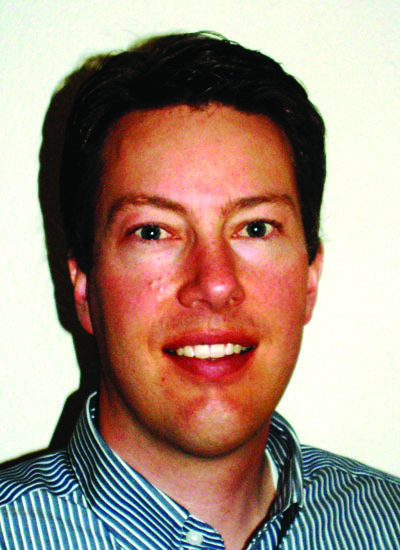 A decision of the Board of Equalization can be appealed to the Colorado Board of Assessment Appeals, and a determined property owner can appeal that decision to the courts.Property owners who arent pleased with the assessment of their property should strongly consider taking the time to file a protest unless, of course, the owner likes paying taxes.Noah Klug is an attorney with the Breckenridge firm of Bauer & Burns, P.C. He may be reached at 970-453-2734 or Noah@BreckenridgeLawyer.com. This article is intended as a general overview; consult an attorney, accountant, or other expert for assistance with a tax protest.